In yet another indication that Infosys is trying to put the focus back on its traditional services, the company is cutting the strength of its R&D arm, called Infosys Labs, and is moving these employees to billable projects on the IT services side. Some employees will be moved to billable positions to increase revenue productivity . "Delivery managers in Labs have been asked to 'let out' people to other projects . If an employee refuses to move, it gets registered on the company's internal database system Alcon. And if an employee registers two refusals consecutively on the Alcon system, it could put his or her job at risk," said a source. Asked about this development , the company spokesperson said, "We don't comment on matters related to our internal organization." 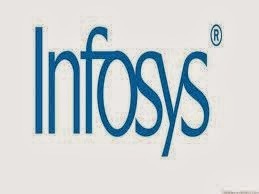 Infosys Labs, established in 1999, works to find ways to produce cheaper, faster and better services, and shares synergies in particular with the PPS (products, platforms and solutions) business. Murthy has said he would create a desirable Infosys in 36 months, and has said that the products & platforms business would be a medium-term focus. The talk in Infosys is that the Labs development followed soon after Murthy's son and executive assistant Rohan Murty had a meeting with business unit heads, including Labs head Subrahmanyam Goparaju, and reviewed the performance of each unit.